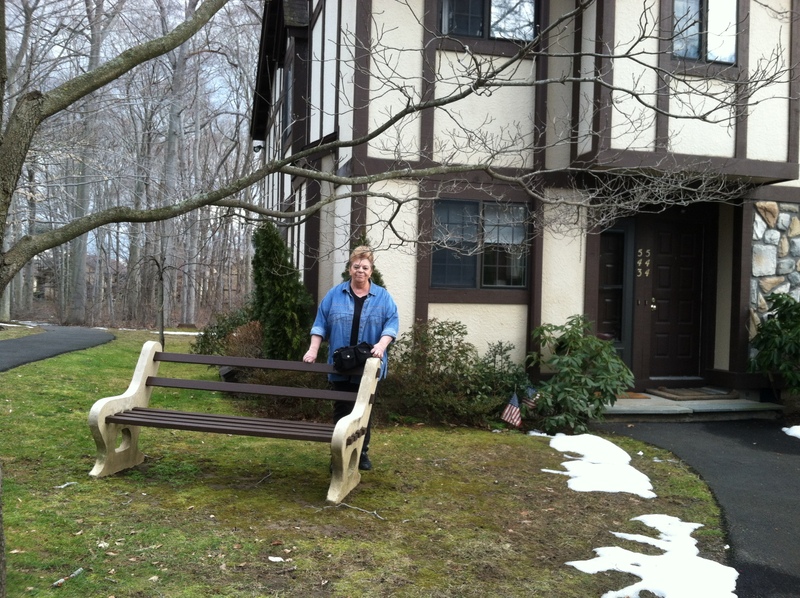 Tina had an exciting day today, because she closed on her long awaited condo in the Foxwood community in Milford, Connecticut. Today was smooth sailing, but it was quite a journey to get here. We had been looking for the perfect unit since last year. It had to be on the first floor with plenty of space, two entrances, two bedrooms, a den, space to install full-size washer and dryer (vs. smaller stacking ones) and in good condition. We thought we found it the first day when we looked at a nice For Sale By Owner. But we got all the way to contract signing before finding out that this section of the complex did not allow hard wood floors to be installed- a deal-breaker for Tina. So, we looked at several others that fell short of the requirements and then waited and waited for the right unit it come to the market. Units came and went without anything fitting the bill. I created custom postcards and mailed them to all the owners in qualifying units… Nothing. Then finally one day a few months ago, the ‘perfect’ unit hit the market, so we went for it. We got it- the listing agent wrote in an email to me. But after she told me our offer was accepted, a client of hers came in with a cash offer. Ours was higher but still declined. We didn’t get it! So we waited, and I sent another mailing. Finally, the absolute perfect unit came to the market. It was like the one she lost, but a nice end unit with a park bench right out front. This one was meant to be. Tina was so excited she planned to have the entire unit renovated before she even closed on it. She arranged to open up several walls, install hardwood and tile floors, redo the kitchen and change from her previous beach style to ‘country’! The road was long, but the closing was short and and the reward was the perfect new home. I think the rest will be history! Tina and her new Foxwood Condo! Categories: Real Estate | Tags: condominium, Condos, Foxwood, housing market, Linda Raymond, Milford CT, new home, real estate, William Raveis Real Estate | Permalink.